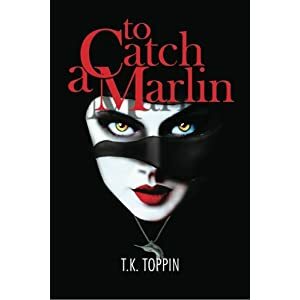 I don’t make it a practice to hawk new releases without a review, but I can’t wait to finish writing the review before I tell you the exciting news about TK Toppin’s latest release TO CATCH A MARLIN that hit the stands today. I was fortunate enough to beta read this book for the author, and even in its rough drafts it captured my imagination in a way that…well, let’s just say I have been counting the minutes until I could order this completed, polished novel for my very own! I really believe this is the author’s best work yet! It’s a lighthearted adventure with parts that will make you laugh out loud and other parts will keep you turning the pages well into the wee hours of the night. I just bought my copy for my Kindle. I’ll be purchasing the paperback as well. This is one book I want for my permanent library. Keep an eye on this page for the review, hopefully next week. I can guarantee 5 Stars. Congratulations to TK Toppin on her newest release and best of luck.